To achieve the tight timeframe, a structured process was used to initially identify all options that addressed the key development decisions and key success factors agreed for the project. 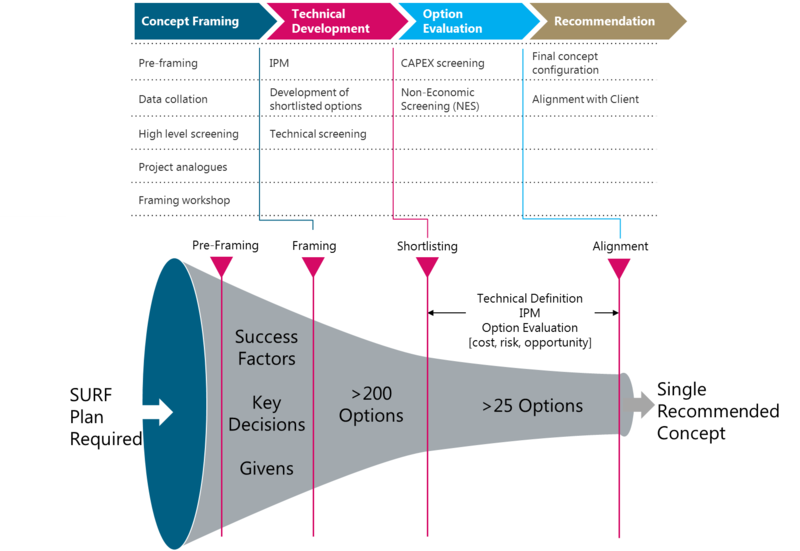 Then, through a series of commercial and non-economic screening processes backed up by an appropriate level of technical definition, concept development options were reduced down to a shortlist, and ultimately one single concept for the SURF scope (Figure 1). The structured approach gave the Client an auditable and costed decision process to progress to the next project phase, delivered within the 12 week schedule (Figure 2).